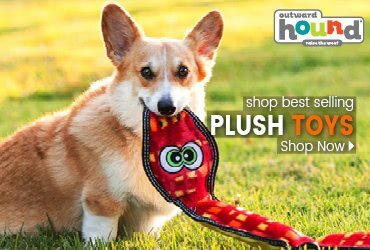 Save 15% on Toys,Treats, Beds, Collars & Leads. Promotion ends on 06/13/2017 at 11:59 PM EST. Prices and offers are subject to change. Promotion can be applied by entering "4DAY" in the discount box in the shopping cart. Promotion is not combined with other discounts or promotions. If you prefer to take advantage of a different promotion, enter the corresponding code in the promotional code field of your shopping cart. Free Economy Shipping on orders of $35+. Promotion ends on 06/13/2017 at 11:59 PM EST. Prices and offers are subject to change. Free shipping promotion will be applied automatically to qualifying orders. Promotion cannot be combined with other discounts or promotions. Offer valid only for orders shipped within the contiguous 48 U.S. states and to military APO/FPO addresses. If you prefer to take advantage of a different promotion, enter the corresponding code in the promotional code field of your shopping cart. 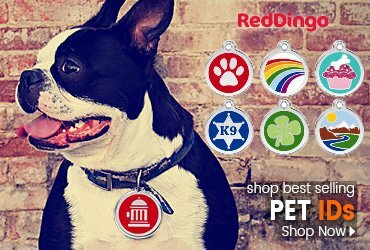 Pet ID Free Shipping. Promotion ends on 06/13/2017 at 11:59 PM EST. Prices and offers are subject to change. Promotion will be applied automatically to qualifying orders. Promotion cannot be combined with other discounts or promotions. If you prefer to take advantage of a different promotion, enter the corresponding code in the promotional code field of your shopping cart. - Bundle Deals, Door Busters, Special Buys, Products with Manufacturer Minimum Advertised Price, out-of-stock items, Donations, Gift Certificates and Gift Cards; orders exceeding the maximum weight limit of 50 lbs. ; or applicable taxes. Additional exclusions may apply and will be noted on the Product Detail page and/or Shopping Cart. 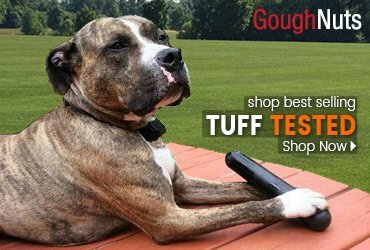 - DogTuff.com is required by law to charge applicable tax on all orders shipped to states in which DogTuff has a physical location. - Offer valid only for orders shipped within the contiguous 48 U.S. states and to military APO/FPO addresses. - Promotions do not apply to international orders. - Promotions valid for one use per order. - Promotions cannot be redistributed or used in combination with any other offer. - DogTuff.com in its sole discretion may refuse to redeem any Promotion Code that it believes in good faith to be fraudulently or improperly obtained. 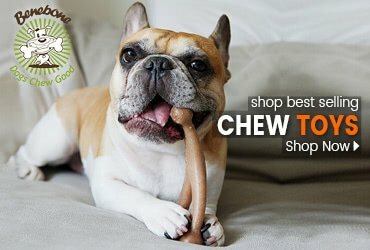 - Offer valid only at DogTuff.com. - While Supplies Last. No Rain Checks. Promotion does not apply to orders placed prior to the promotion start date.